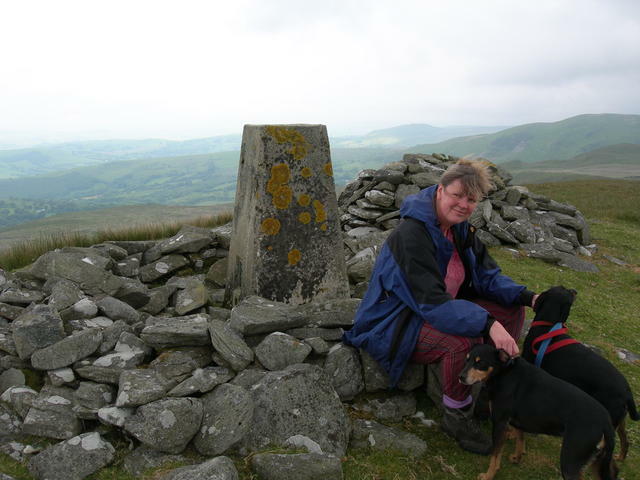 There are 9 photos for this trigpoint (view album). 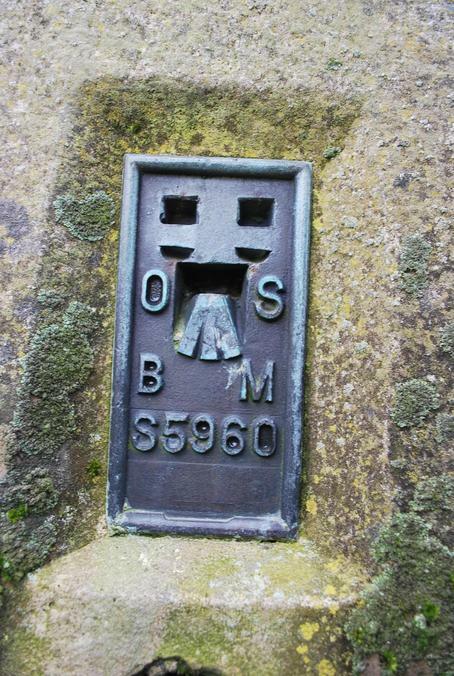 Is ranked joint 1599th with 35 other trigs (more). See 5 more in the album. From the car park at Bylchau r Llyn. 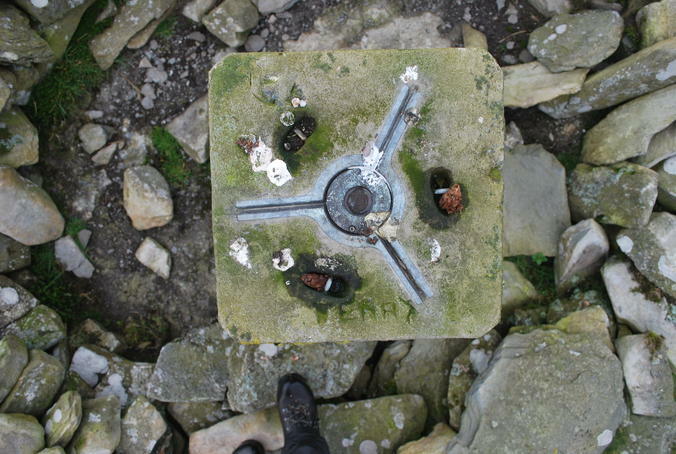 Followed forestry track to the boggy permissive path which leads up to the trig. Mist and drizzle so no view. Original cap in place. Excellent walk in through a permissive path through the forest. 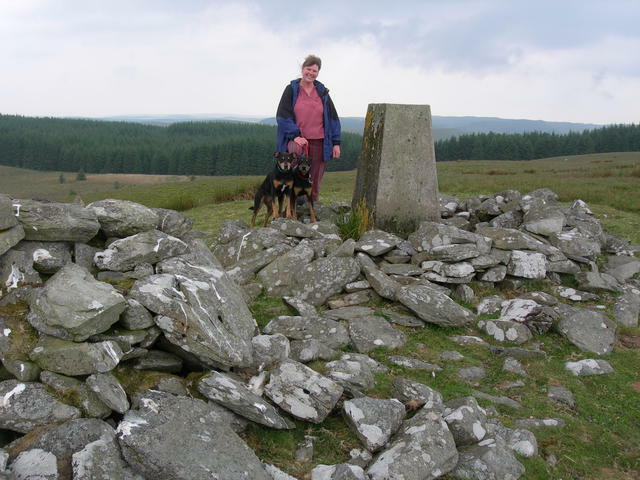 Parked in long lay-by at SN706586 and walked up RoW towards Cefn-yr-esgair-fawr. 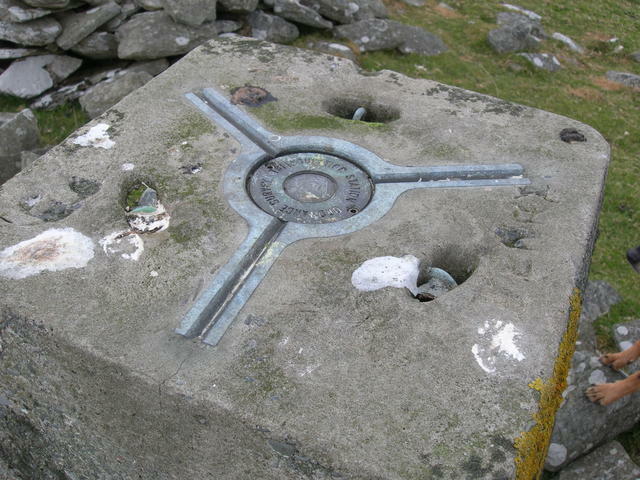 Continued this bearing and climbed up on access land to high point S of Craig y Fintan. Across tussocky and boggy ground to TP, with fine views of Tregaron two miles away. 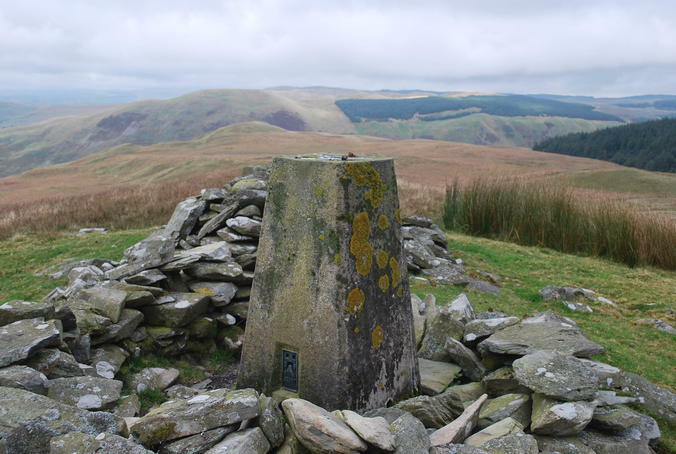 On to permissive path through Cwm Berwyn Plantation, and via forest road to the view point, looking down Cwm Berwyn. On to road, and 2 miles back to car. Great walk. Good walk and great views. Another fine pillar in a wonderful setting. Parked upu to the North near Cwmberwyn, then was a sharp climb on access land. Even though we are in the middle of a dry spell the land here always seems to be able to produce vast areas of moving bog which can be a bit strange to walk on! Occasionally followed meandering Quad bike tracks across the worst bits as figured if it could hold a quad bike it could cope with my beer belly! 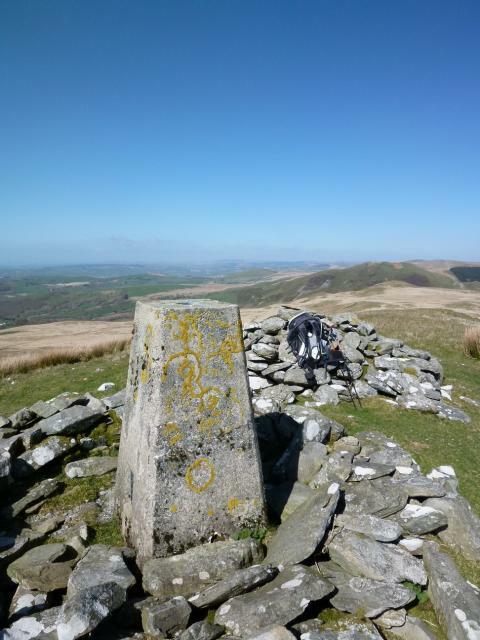 Pillar is on small ridge with excellent views over Tregarron and further West. 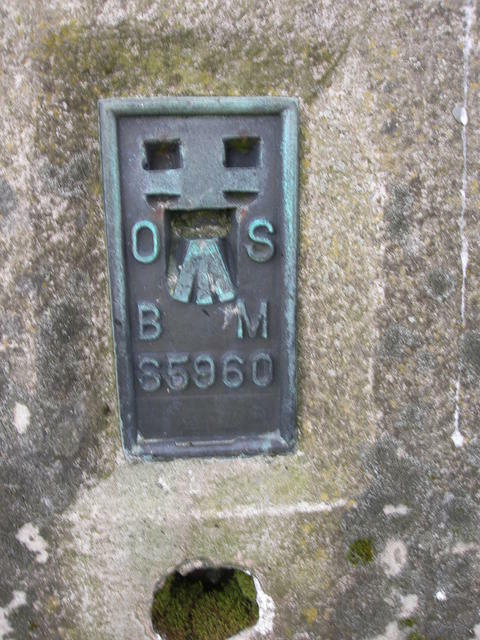 Plug with heavily indented lettering. 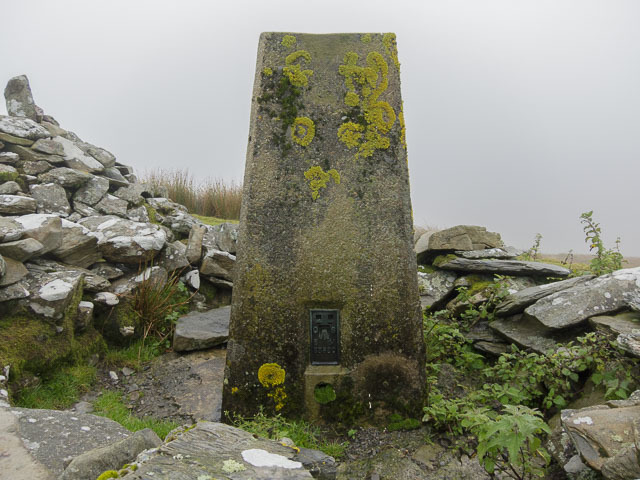 Plain pillar surrounded by circular low wall, on sunnit of Carn Fawr. Second visit to photograph after previous visit in 1980.